In the US and the UK, the left could learn something from Bruce Springsteen: to articulate a different narrative about collective identities – about how people 'lost control' – it must talk in a common language. Lawren/Flickr. Some rights reserved.‘Some things hurt more, much more than cars and girls’, Prefab Sprout sang in 1988 with a dig at ‘Brucie’, as they called Springsteen in the song ‘Cars and Girls’. It was, and to some extent still is, a common view of Bruce Springsteen: he sings about cars and girls and not much else. 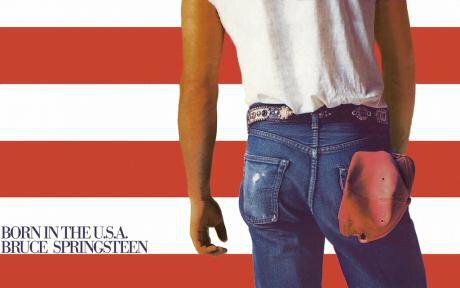 In the 1980s, that image was boosted by Ronald Reagan’s reference to Springsteen’s music in the 1984 presidential campaign. This was the time of ‘Born in the U.S.A.’, which many – myself included – took as a flag-waving celebration of the US. Anyone who felt just a bit smarter than the average Joe had to be dismissive of that kind of intellectually shallow rock ’n’ roll. Prefab Sprout object that “life’s no cruise with a cool chick”, but anyone who has cared to listen just a bit closer to Bruce Springsteen’s lyrics will know there’s a lot more to them than that. Indeed, ‘Born in the U.S.A.’ is an angry indictment of American jingoism and what happened to the vets returning from Vietnam. Prefab Sprout may describe Springsteen’s texts as ‘pretty streamers’, but Springsteen’s America is not great, even if he describes his characters and their milieux lovingly. If there is anything that might be said to characterise Springsteen’s lyrics it is ambiguity. Prefab Sprout refer to Springsteen as a ‘dreamer’ who thinks that ‘heaven wait[s] all heavenly over the next horizon’. But Springsteen’s songs are about the gap between the dreams and the lives of ordinary folks, and the way in which the characters’ identities are dislocated by this gap. Springsteen’s songs are about the gap between the dreams and the lives of ordinary folks, and the way in which the characters’ identities are dislocated by this gap. Springsteen is often taken as a voice for blue-collar America, and he has been happy to assume that mantle. He has come to speak for this identity: blue-collar, small-town, white (although race and racism also feature in his songs), heterosexual and male (albeit a volatile masculinity). This is his constituency, but the gap between dream and reality that he identifies for his constituency is shared by 99% of Americans. Having said that, taking Springsteen as the voice of a particular constituency – white, male, blue-collar workers – is politically significant. These are precisely the blue-collar Democrats that Reagan turned into Reagan Democrats, and whom Bill Clinton connected so well with. They are the Democrats that Barack Obama and Hillary Clinton had difficulties connecting with, because of their race and gender respectively. And they are a constituency who saw their concerns echoed by Donald Trump. I think we can learn something important from this. After the 2016 presidential election, Hilary Clinton’s campaign was criticised for doing identity politics: instead of appealing to the (white) majority, it appealed to a coalition of (non-white) minorities. It is not a true characterisation of her campaign: she spoke a lot about ‘blue-collar’ issues; others spoke a lot about her gender. However, this critique of the Clinton campaign itself relies on a form of identity politics: it starts from an assumption that the default identity of America is white and male. Indeed, Trump was, and is, heavily engaged in identity politics: the inverse of his racist and sexist language is the celebration of white male America. An America that was, so he alleges, great – before non-whites and women took over the country. In this way, Trump links the reassertion of a particular (white, male) identity to sovereignty: the sovereignty of the American nation and the sovereignty of the individuals who identify with Trump’s version of the nation. Trump’s promise is that ordinary folks can take back control if only the (white, male) identity of the nation is re-established. Just because Donald Trump makes good use of identity politics does not mean we should simply reject it. Instead it is a matter of how we do it. Identity politics has a bad name today: either it is the politics of those other, exotic minorities, or it is the politics of right-wing populists like Donald Trump. But it’s always something others do, and something that we – rational, liberal leftists – are above. Can we articulate identities in a different way?. Bruce Springsteen offers one model for doing so. He has been able to articulate a vision of America – but it could also be France or the United Kingdom – that offers both a critique of things as they are, and hope that they could be different. And because of the ambiguity of his vision of America, it is a vision that is less easily blocked in than, for instance, the apparently more definite categories of ‘left’, ‘white’ or ‘male’. He is happy to wrap himself in the American flag, but he re-appropriates it, wrestling it away from right-wing nationalists such as Reagan and Trump. He tries to wrestle away the experiences of his constituency from the ways in which they have been articulated by Republicans and centrist Democrats. Trump was, and is, heavily engaged in identity politics: the inverse of his racist and sexist language is the celebration of white male America. Today, in the US and beyond, the left needs to find a tune that does just that. As we can see from the example of Springsteen, it can be ambiguous and simple at one and the same time. What is important is to speak a language that speaks to people’s everyday experiences, and to use symbols they can identify with. Prefab Sprout’s lead singer Paddy McAloon said that he does not make music for the masses, just for himself. So be it, but if you want the world to be a better place, then you need to communicate with others. The challenge is to do it differently. Take the example of Brexit, which is all about ‘taking back control’. As things stand, the right has got a monopoly when it comes to sovereignty – which is reflected in the Conservatives’ emphasis on ‘strong’ leadership. People identify with that because the Brexiteers promise to hand back control to individual British people by reasserting British sovereignty against the European Union. What might the left do in this situation? If the game is one of ‘taking back control’, the left needs to articulate a different narrative of how people lost control (not the EU, but the dismantling of the welfare state, for instance), and of how they can regain control (not xenophobia, but taxation of the rich, for instance). In short, the left needs to articulate a different story about how we got here, and how we might move forward. A different story about who we are and who we want to be – in short, a different story about our identity. That does not necessarily mean taking existing identities as given. One can accept that the language of the day is one of sovereignty and nation without pandering to right-wing nationalism. Here it matters how we think about identities. Often we think about identity politics as reflecting some already existing identities. So, to be British is to be like this or that. I think that’s the wrong way around. What we have are different images of what it means to be British, for instance, and then there is a struggle over which of these images of Britain should prevail. What the left needs to do is to construct images of what it means to be British, French, European, American and so on – images that make sense of ordinary people’s experiences, while also giving them a hope that things could be different. That, in the end, is what politics is about: constructing collective identities out of everyday experiences.he left could learn something from Bruce Springsteen here.